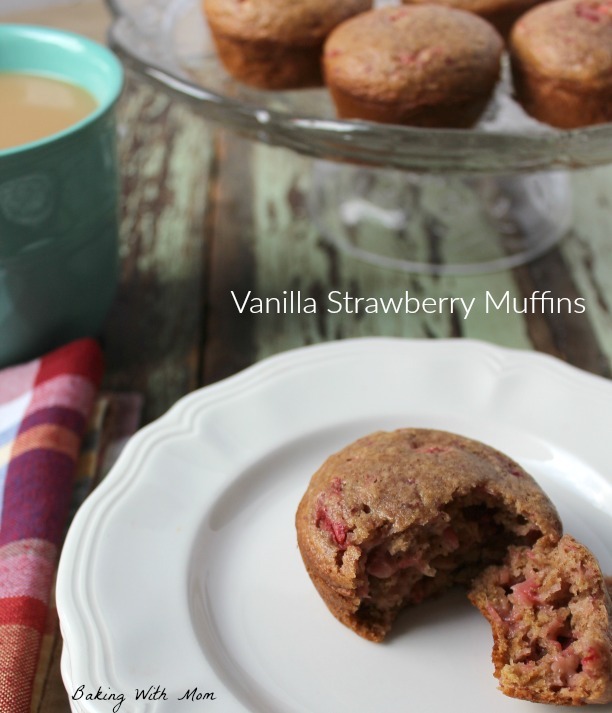 Vanilla Strawberry Muffins are moist, flavorful and are easy to make. When you make them with International Delight Simply Pure Coffee Creamer, these muffins will be perfect for a brunch or breakfast treat! I have a really cute 3 year old at my house who refers to muffins as “muffin mans”. I’m sure you can guess why, after all every young child has sang the “Muffin Man” song at least a few times in their life. I make muffins a lot in my house. I mean, wouldn’t you? Not only do I get to hear a “muffin man” phrase (and the accompanying song), but muffins are great for school lunches, after school snacks and for a quick breakfast. I enjoy trying different muffin recipes and this time was no exception. 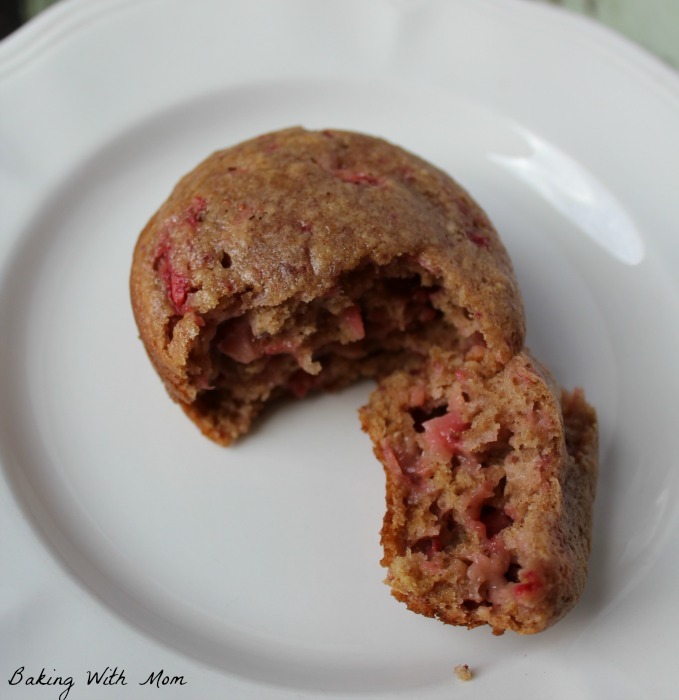 I had made strawberry muffins before but it had been a long time ago. 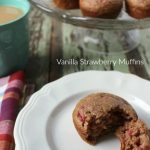 I had put together a recipe for this latest batch of Vanilla Strawberry Muffins I made and wanted to add a few new twists to my typical recipe. 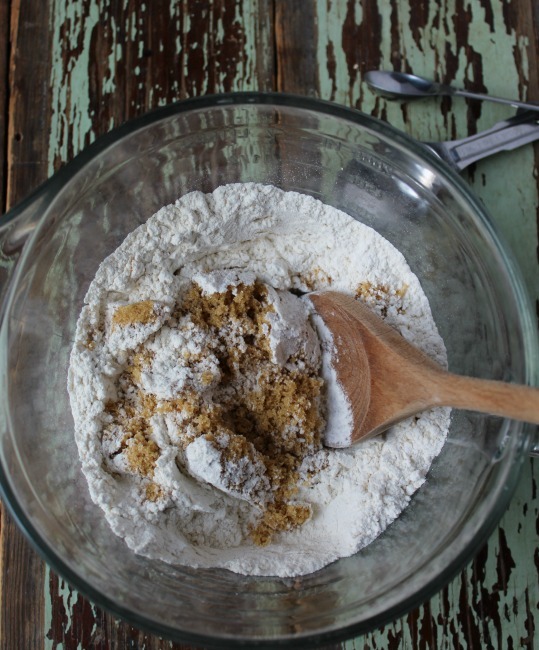 I enjoy changing recipes and adding alternatives to the batter. 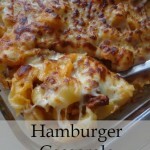 It is rather simple to make a few changes to the recipe such as adding applesauce in place of oil. Applesauce is a nice alternative to oil. 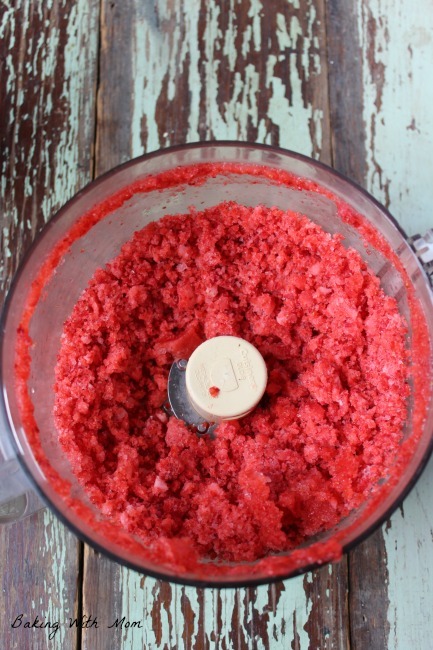 If you want to make an oil/applesauce switch, simply exchange it evenly such as 1 cup of applesauce for 1 cup of oil. I also replaced the milk in this recipe. I added 1 cup of International Delight Simply Pure Vanilla Coffee Creamer. 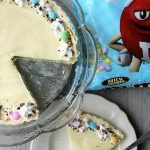 It added a wonderful vanilla flavor to the batter that complimented the strawberry flavor. International Delight Simply Pure Coffee Creamer is made with real milk, cream and sugar and includes only 5 simple ingredients. Including this coffee creamer in your morning routine (whether in your cup of coffee or in your breakfast), would be an easy (and delicious!) switch. 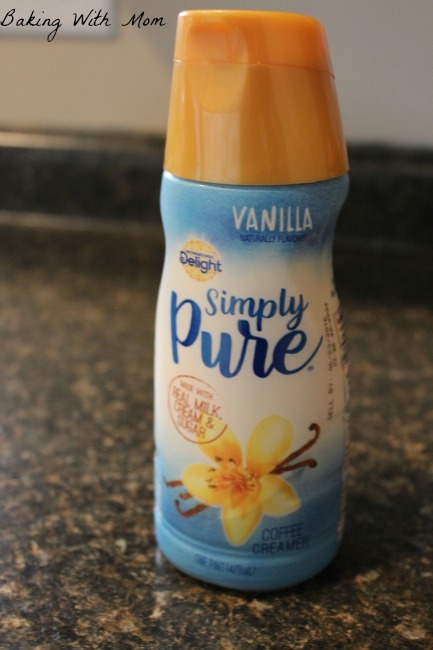 To find the International Delight Simply Pure Coffee Creamer (it comes in Vanilla, Hazelnut or Caramel), simply head to your Walmart store. It is easy to find. 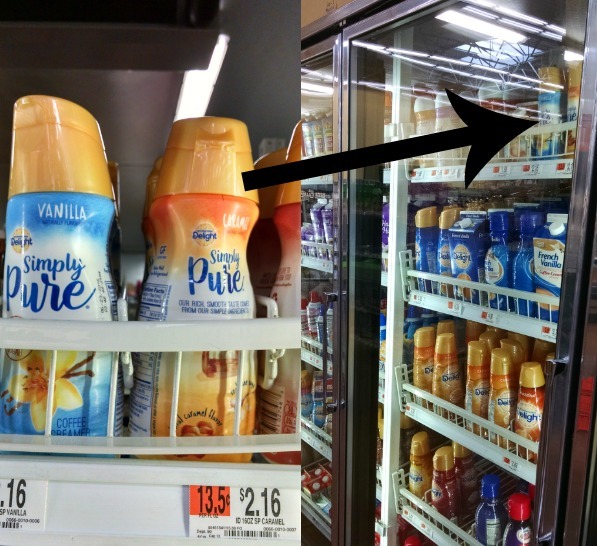 The Simply Pure Coffee Creamer is right next to the milk section. I got out the ingredients for the Vanilla Strawberry Muffins. First, I mixed together the dry ingredients. 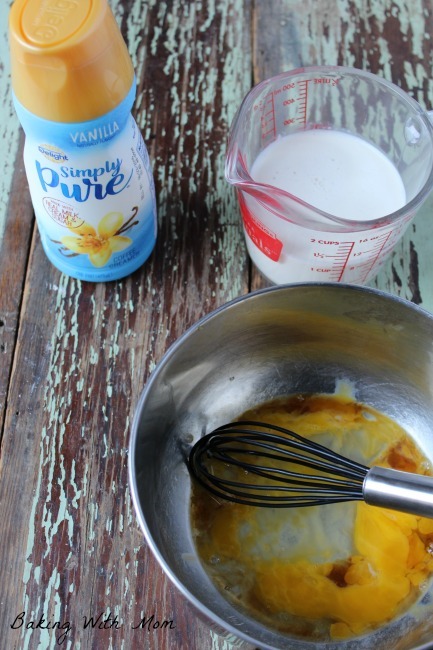 Using the International Delight Simply Pure Vanilla Coffee Creamer in place of the milk in the recipe, I mixed together the wet ingredients. I mixed the wet ingredients into the dry ingredients and folded in the strawberries. After baking the vanilla strawberry muffins, the result was sweet, flavorful muffins perfect with your morning coffee. Vanilla Strawberry Muffins are moist, delicious with a blend of wonderful flavors, vanilla and strawberry. 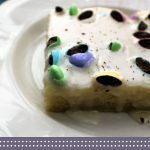 Be sure to check out more great recipes using International Delight Simply Pure Coffee Creamer. 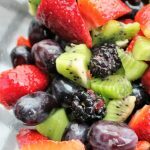 I love when fresh fruit is available after a long winter! These muffins are the perfect breakfast for the family! I love cooking and baking with coffee creamer too. It adds SO much flavor! It does add so much flavor! “Muffin man”. So adorable!! I’d bake muffins all the time too! These are the prettiest little muffins ever, perfect for spring baking! When we lived in South Carolina we used to frequent (perhaps too frequently!) a little muffin shop in Greenville called the Muffin Ma’am. So clever. I’ve been addicted to muffins ever since! 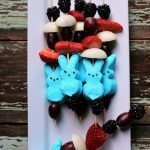 They were so easy to make and delicious too!